9ct yellow gold crossover eternity ring featuring channel set brilliant cut diamonds. A stunning way to celebrate any occasion. 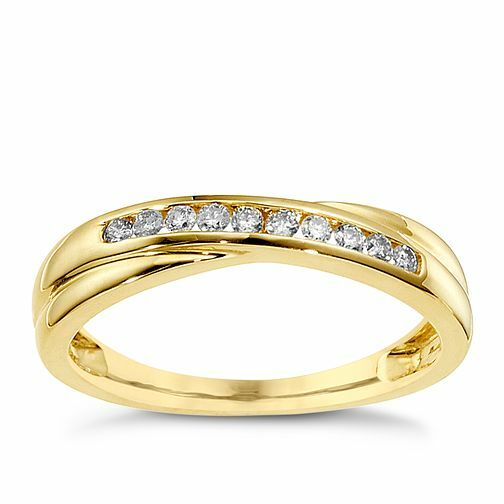 9ct yellow gold 0.15ct diamond crossover eternity ring is rated 5.0 out of 5 by 1.